The newest and narrowest Flipcore ski, the Latigo is the energetic, snappy cousin to the wider Freeride skis at a 78mm waist. The Latigo is lightning quick in the bumps and effortless edge-to-edge on groomers making this ski a ton of fun in a svelte, nimble package. Early rise tip and tail, with camber underfoot combines with Flipcore for an energetic, lively ride in a variety of conditions. Blaze 120 è sviluppato seguendo l’architettura classica overlap, dalle altissime performance ma con un po’ più spazio in punta. Questo scarpone incorpora molte delle caratteristiche della famosa Linea Viper ma con ha un fit last più spazioso di 102mm. La tecnologia Contour 4 insieme alla tecnologia Drive & Control offre una chiusura ideale per un controllo preciso della chiusura del piede. Grazie al Center Balance “Rocker” Stance lo sciatore ottiene maggiore vantaggio dalla sua attrezzatura e avendo più controllo con il minor sforzo. Ha una scarpetta TRUFIT Thermo Last performer modellabile a caldo. A comfortable, easy all-mountain ski boot – the soft-flexing Waymaker 70 is perfect for stretching your skiing beyond the piste, and dipping your toe into the world of powder. It features a compact 3-buckle design and our famous Atomic medium fit. With our unique Free/Lock System it’s also set up for super easy handling: you can unlock the cuff from the shell for easy entry and exit and comfortable walking. 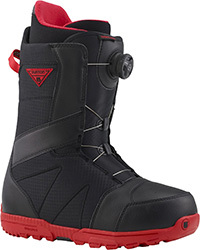 Then flick the switch and you’ve locked together the shell and cuff for superior performance and confidence while skiing. A Live Fit Performance zone automatically adapts to your forefoot to keep you comfortable all day and keeps the blood flowing, topped off with a super cozy Bronze liner and the option to get WTR Grip Pads for better walking. 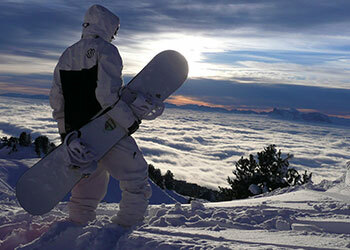 With powder in mind and park in spirit, it’s like you’ve done this before, only not this awesome. From unexplored peaks to familiar parks, the Burton Deja Vu Flying V™ tames anything that stands in your way. The board’s smooth rocker profile surfs through deep powder, while subtle camber underfoot and a true twin design keeps you in control no matter which way you point it. Side Effects lengthen the contact points to add float and create a more forgiving feel, while Overbite Frostbite’s all-wheel-drive edge control gives chargers like Enni Rukajarvi the upper hand on hardpack and technical terrain. Built around a forgiving flex and Total Comfort Construction, the NEW Burton Starstruck Boa® boot’s comfort and ease-of-use is ready for progression right out of the box. Effortlessly adjust upper and lower lacing zones with the industry-leading Boa® Coiler™ closure and cradle your feet in lightweight cushioning with the DynoLITE outsole. No matter what the weather brings, your toes stay toasty with Sleeping Bag tech that reflects body heat back at you for warmth that lasts. 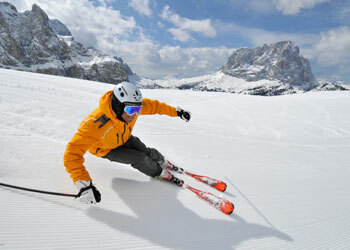 Scarpa is the World leader in the ski-touring world. Both in terms of sold product and for its competition presence, Scarpa is the unrivalled leader for all backcountry winter activities. A light and comfortable boot for climbing, performing down-hill, but above all which supports all ski tourers for its use practicality. We see the mountain as one big playground – ski touring opens up new terrain and skiing areas that simply aren’t accessible from the lifts, which is why this area of the market is growing fast. 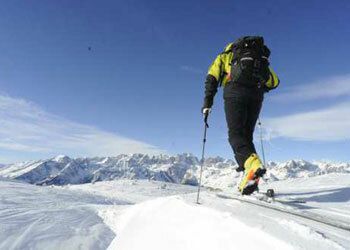 The ascent is just as much a part of ski touring as the descent and the combination of the two is addictive! MOVEMENT has created a range of skis to suit all areas of this market with the aim of attracting more and more skiers to this part of the sport For the last few years our efforts have focused on reducing the weight of the skis by experimenting with different wood cores and fibre constructions, whilst maintaining the goal of creating a high-performance ski that is also durable and fun to ride. We’ve also brought in new shapes and Rocker outlines to this range to make them even more exciting on the descents on virgin powder fields. There are 6 models in the Touring-FREETOURING range – there really is a ski for everyone.